I’ve grown up with music all my life, and it would hard for me to even put into words how much music means to me. Now I’m not just talking about the music that I listen to on my iPod or whatever other music medium. I’m so glad that my parents forced me to sit down and learn a particular instrument, because it was that discipline of sitting down and learning something that produced joy, confidence, and desire to start and finish any goal I have in mind. Because of my experience with music I know that it will be absolutely imperative in my household that every child picks up an instrument at an early age. I go into this knowing that not every child is mild mannered and that this could be a struggle, but I know in the long run this will be one hundred percent worth it. I know what it did for me, and I am absolutely convinced of what it can do for them. Since that day has not come yet, I’ve already put my eyes on the perfect gift I’ll have to give to them when the time is right. There are a lot of children and beginner musical instruments out there that fail to deliver. But given Casio’s pedigree and their penchant for creating dependable entry level machines, I decided to start with them. 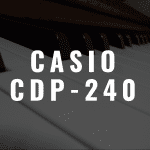 The Casio SA-76 may not be necessarily the best digital piano for beginners, but it certainly has to be one of them. Below, please enjoy the interactive guide that was created to make your piano purchase easier. 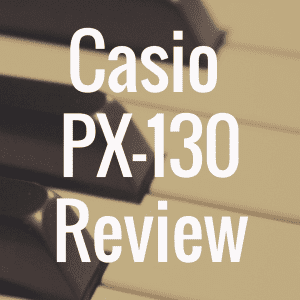 Compare the Casio SA-76 to the best pianos in its class based on weight, price, and even customer reviews from Amazon.com. The first thing you notice about the Casio SA-76 is its extremely small size. This piano only comes with 44 keys, which is perfect for any young piano player looking to learn, not become befuddled by the number and range of keys. The small set of keys allows the young player to focus exactly on where he needs to place his hands, and it doesn’t hinder him be forcing him to stretch to areas he can’t reach or engulf him with its size. Considering every digital piano review I’ve ever done, I am pretty sure I have never come across a machine that weighed less than four pounds, and that’s exactly what you have in this machine. The piano is only twenty five inches long and nine and a half inches wide, making it so small and compact that it may even fit into a desk drawer. The Casio SA-76 comes in a nice black color, with a brown under side that gives it a nice look. The two 1.2 watt speakers sit on opposite ends of the board, with the control interface sandwiched in between. The makers of this mini keyboard at Casio have managed to fit a good number of buttons and control onto the interface considering the piano’s small size, but with 100 tones, 50 rhythms and 10 built in songs they are all necessary. They have even managed to fit in a competent LC display which isn’t the snazziest of options, but will certainly help the user navigate the keyboard. Surprisingly for its size, the Casio SA-76 offers a lot to a beginner piano player. There are 100 tones contained on it, which is considerably more than most digital pianos. The grand piano sound here is the most dependable, giving a good sound which is backed up by Casio’s reputation of building good musical machines. These sounds however, are not supported by any of Casio’s reputable tone generation technologies, such as the Linear morphing AiF system or the AiR (Acoustic and Intelligent Resonator) system, which is highly understandable. 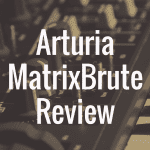 The tones on the piano are backed up by 8-note polyphony, which I am seeing for the first time in all the digital piano reviews I have ever done. 32 notes of polyphony is the lowest I have seen any machine ever have, so in any other case 8 notes would surely be a serious sign of concern. But considering the piano only has 44 keys to work with, there should not be any real problem with the piano dropping notes, unless your five year old is trying to play Beethoven. 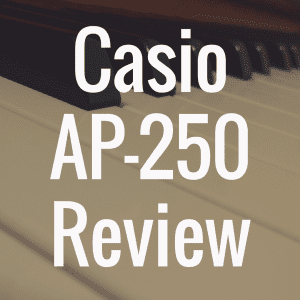 There are up to fifty different rhythms contained on the Casio SA-76, and all of them are wonderful, viable options to give a young musician a sense of rhythm and composition when playing his music. There are different waltzes, salsas, ballads, and other modern options of rhythm to choose from. In addition to these rhythms are ten practice tunes, which the beginner can use to hear as to how the piano is to be played, and also to play along with. These practice tunes focus on giving a variety of styles for the beginning player, which will help the young boy or girl get a sense of how music is played. There are also five different drum pads contained on the piano. The SA-76 has its own Melody Cut Rehearsal system, which is a specially designed training system pre –loaded and built into the keyboard to assist with learning how to play the right hand. 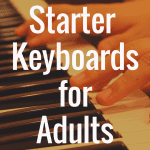 Most beginner piano players learn how to play with first the right and then left hand, and the Melody Cut system gives any musician a head start on playing with the right. Because of the piano’s size and makeup, there are many functions which are contained on normal digital pianos that you won’t find on the SA-76. There is no transpose, metronome, tempo, or tuning functions. There also is no dual/layer or split functions. Many of these absences are understandable, and any user looking for the inclusion of any of these features should certainly look to a higher level machine. The piano does not have any USB connection or computer connectivity, and the only input/output it has is the headphone port, which is a necessary feature for any young player looking to practice in private. In the video below, watch a young boy play “Twinkle Twinkle” on the SA-76! 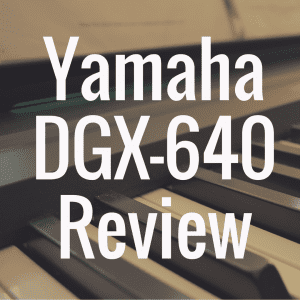 And lastly, if you enjoyed this review, please check back often to Digital Piano Review Guide for more great piano reviews. 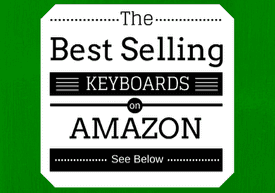 What’s the Best Electronic Keyboard for Beginners?